Slice, dice, chop and prep food for pan or bowl. Measures 7.5" x 11"/19cm x 28cm. Perfect size and shape for entertainment buffet or bar. Raised sides contain juices from fruits, vegetables or meats and crumbs from bread and cheese. Also use to serve hors d'oeuvres. 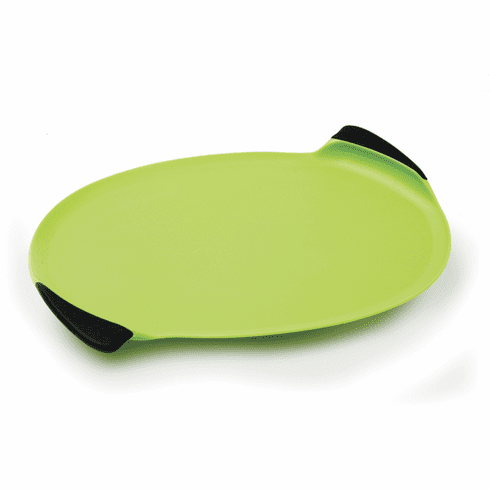 Nonstick, stain resistant, won't dull knives. Nonslip, soft grip handle. FDA approved. Hand washing recommended.